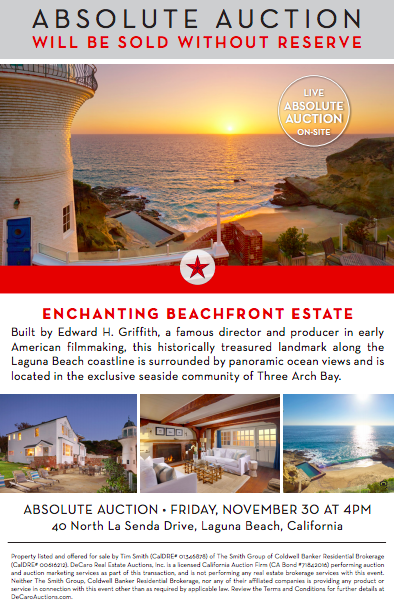 Incredible opportunity to own a historic home on the coast of Laguna Beach with the only private lighthouse on the coast of California and a saltwater pool built into your own private beach! Enjoy the splash of the Pacific Ocean waves from the comfort of your own rock pool! This property is truly one-of-a-kind and could potentially be yours for the price you bid! It will be sold without reserve. To reserve a spot at the live auction, contact us.